Self-reliance is the ultimate goal at Positive Energy Yoga, an exercise program that takes each unique individual into account. Creator Olivia Sheldon designed the program to be adaptable, so that you can achieve optimum results. 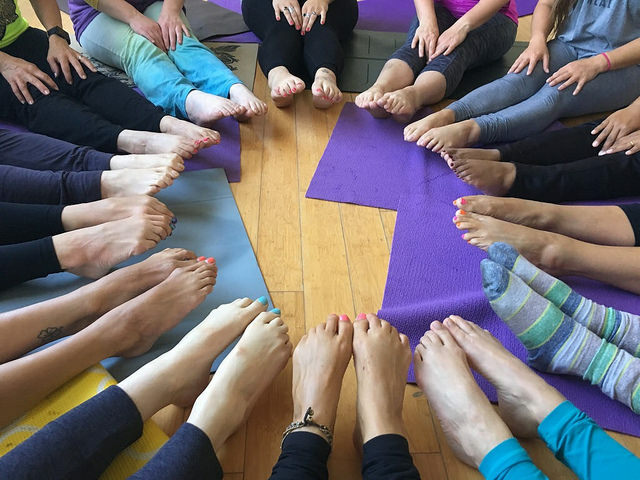 While many types of yoga were created during long-ago eras, Olivia created Positive Energy Yoga for people of today, focusing on each person’s ability. The goal is to create a lifelong program that can be used anywhere and any time, and since it is so individualized, the benefits of this type of yoga are limitless. Positive Energy Yoga classes are offered every week, and they are suitable for people of all skills levels, from those who have never done yoga to those who are very experienced. Relieving the natural stress that humans experience on a day-to-day basis is not always easy, but yoga is a surefire way for an immediate and noticeable change. Occasional workshops — such as a Women’s Self Defense Class — are offered as well.